26 hits from 1908, the year that Fred Merkle's boneheaded play cost the Giants a trip to the World Series but sent the Cubs to their last series championship. 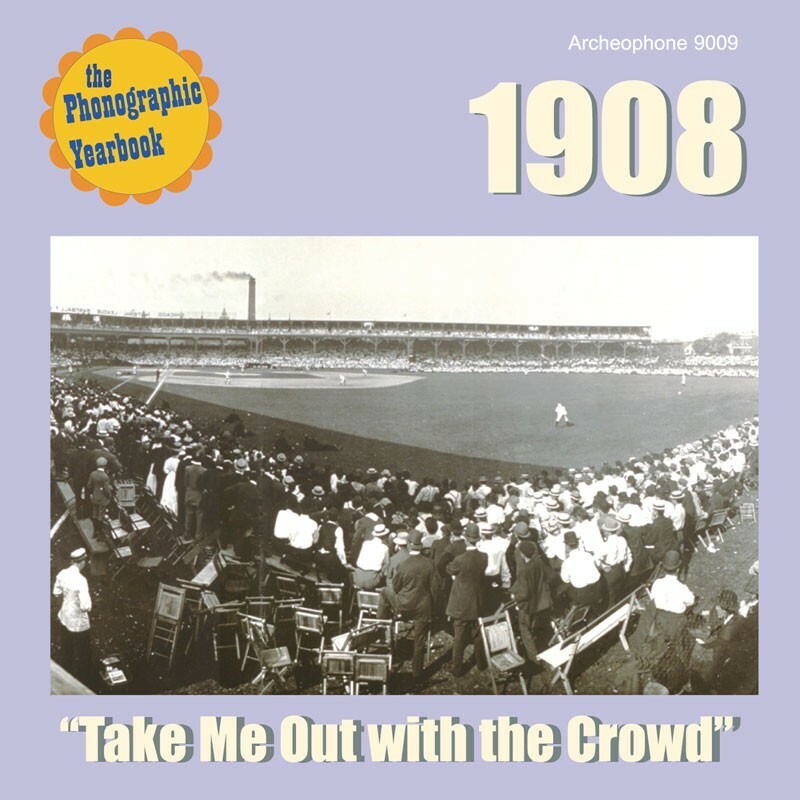 Included here is baseball's anthem, "Take Me Out to the Ball Game" by the Haydn Quartet, along with 2 hits by the newly-christened Peerless Quartet and standards by the acoustic-era's great "teams": Collins and Harlan, Stanley and Burr, and Jones and Murray. Also features the collectible hit by Lucy Isabelle Marsh, "The Glow Worm" and hits by vaudeville greats Eddie Morton and Clarice Vance. Deluxe, full-color 24-page booklet features detailed notes on the songs, an historical essay, and rare graphics. Visit 1908's expanded catalogue page to see the complete track listing, read an extended description, and listen to sound samples.